Do you know how important breakfast is? The side effects of not eating breakfast negatively impact weight, hormonal health, memory, cognition and mood. My husband & I have made a huge effort to eat breakfast recently thanks this delicious acai bowl recipe. The changes in our moods, energy level and even weight have been significant. I’d much rather have a sustaining breakfast than grab 2 bites of my son’s leftover Lucky Charms. I’ve been waking up and working out first thing in the morning and boy does it make a difference for me to be up and going before my kids. To have an hour before they wake up completely to myself has really helped my mindset get going and started for the day. Summer & I met the most darling ladies from Zeal when we were working at an expo recently. We tried their wild berry wellness drink and it pumped our energy right back up! As much as we love to talk and meet people, we were ready for naps after a few hours and they were still going at the same speed they started with that morning. I shared briefly this week on Instagram that I struggle with anxiety. I was talking to my doctor about any and all actions I could take to lessen the anxiety and sometimes depression. His response was to try working out and going to sleep before midnight. That seems super easy & like it would be common sense right? Sometimes, the hardest thing about anxiety is wanting to get up and get moving, but you can’t. There is a wall and it’s tiring to push yourself to get over it. Once I get outside, it’s like a breath of fresh air and I know I need that Vitamin D. It’s freeing. 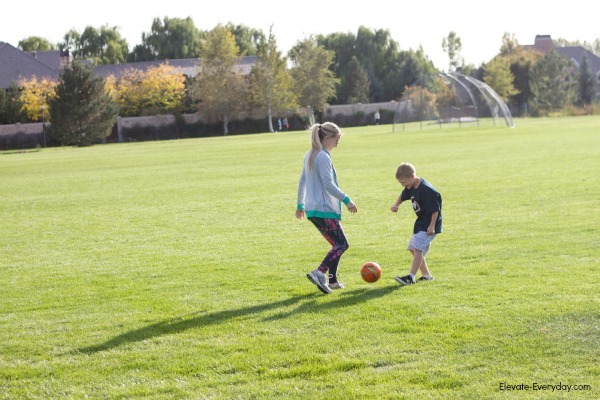 I love it and I love being active and exploring with my kids. It’s just getting over that hump. Don’t even get me started on the midday slump. Feeling like I need a nap everyday between 3 & 4. Talk about frustrating. That is right when my 2 oldest are getting home from school. I think part of it is just a normal mom thing, but throw anxiety into the mix and it feels like my body is shutting down. With the berry wellness drink in the morning and a protein shake at lunch, my energy has been at an all time high. I can count on one hand the number of times I’ve taken a nap in the last month and they’ve usually been on a lazy Sunday. 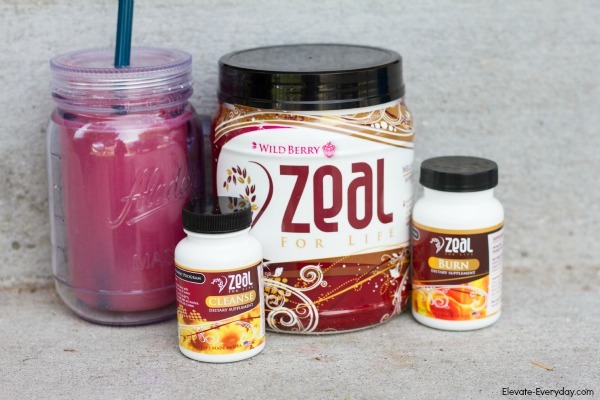 Zeal has been the perfect punch to my routine. I’m more active, more energized, and happier. This has been such an easy and yummy fix. My husband has lost 20 pounds by simply eating breakfast. We flew through the chocolate and vanilla protein shakes because they were so good. A favorite of mine was to put 1 cup of almond milk, 1 scoop of Zeal chocolate protein powder, 1 TBSP. peanut butter, and a few ice cubes and blend it together. 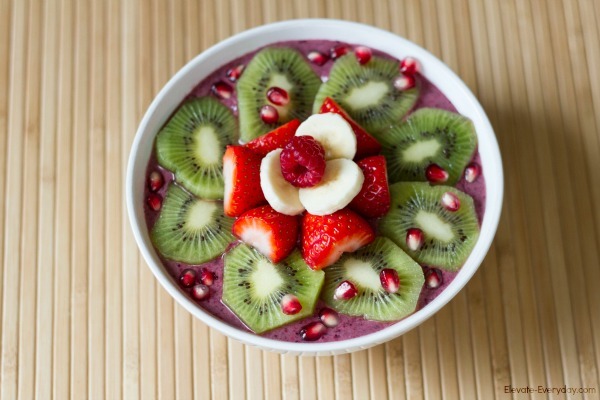 Or you can also try this yummy acai bowl recipe. So so good! 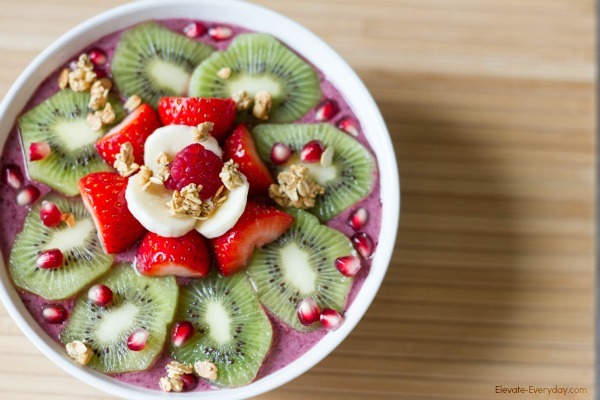 Blend for 20 seconds and add your favorite toppings. 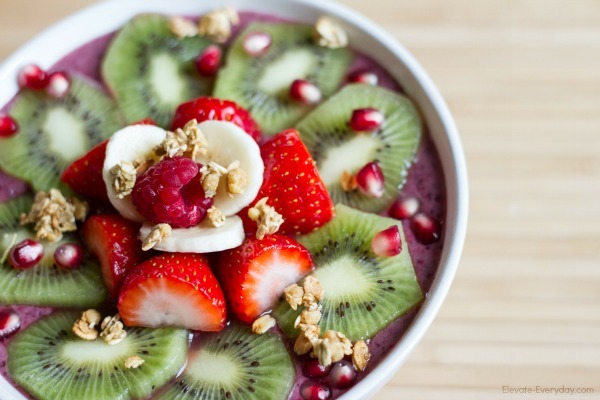 I love adding granola, berries, and sometimes chia seeds. If you are looking for a little extra cash, their business builder package makes it easy to share these great products with your loved ones. So pick up an order from the Zeal website or hit up Emily for some free samples 801.608.2345. What do you have to lose?! I did receive compensation to write this honest review, but we really are big Zeal fans in our home!